Today’s post will be a little extensive and will continue in future entries, through our ‘IM’ galaxy. Almendra deserves it. This is a first explanation essay, peace! The holy triad of Argentine Rock, is composed by three groups, the first ones: Manal, a power-trio of blues psych rock with great influence from Cream; Los Gatos, Castellano Rock founders, with a pop beat olla, and finally, Almendra, certainly the most inventive and poetic, of the three, they released only two albums by RCA Argentina, until their end in 1971. 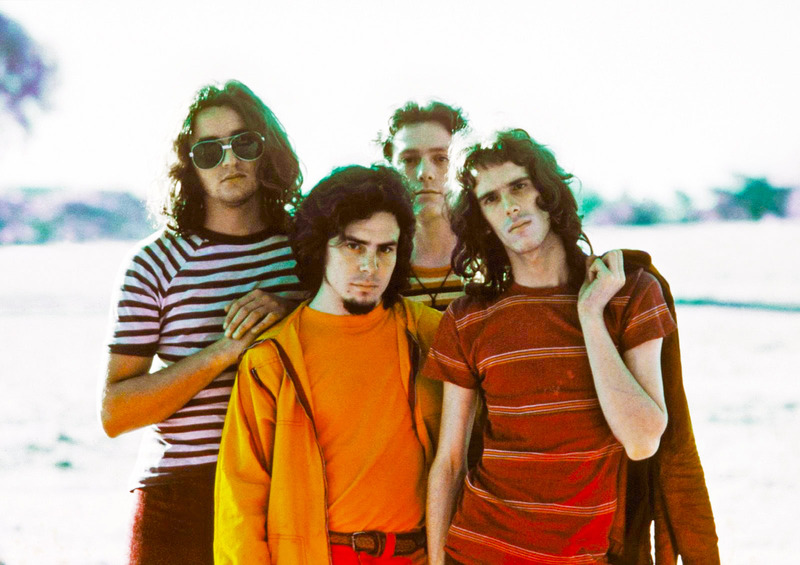 Among them, a skinny leader: Luis Alberto Spinetta (January 23, 1950 – February 8, 2012), known as ‘El Flaco’, was a singer, guitarist, poet, composer, considered one of the greatest artists from his country. His instrumental affluence, lyrical and poetic works, got his recognition throughout Latin America and also worldwide. 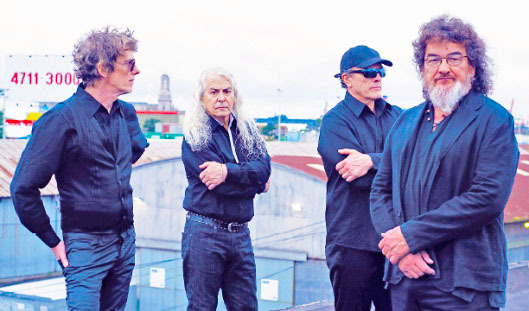 He’s considered one of the godfathers from Argentine Rock, leading Almendra, Pescado Rabioso, Invisible and many other bands, apart from his wide solo career. In his lyrics there’s influence of writers, philosophers, psychologists, artists such as Rimbaud, Van Gogh, Lü Dongbin, Jung, Freud, Nietzsche, Foucault, Deleuze, Artaud y Castañeda, as also, native cultures. 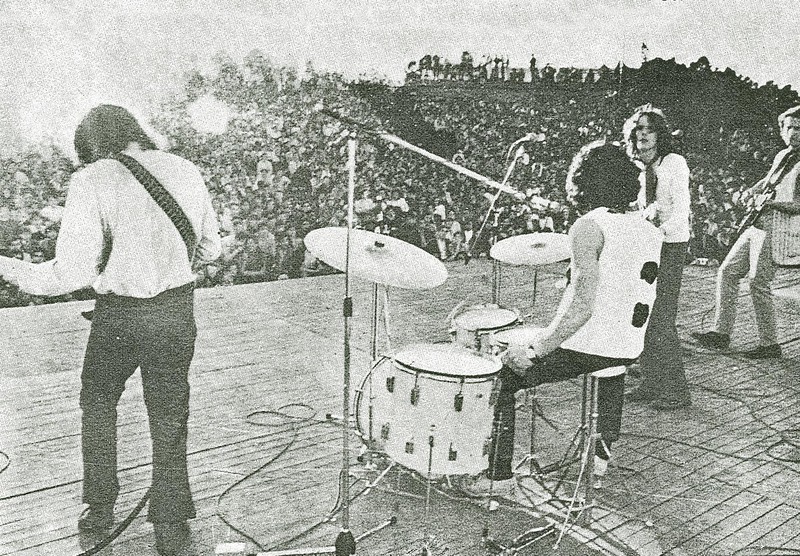 Almendra had his first precedent in 1965, from the English rock bands Los Larkins and Los Sbirros, both from Bajo Belgrano a neighborhood of Buenos Aires. 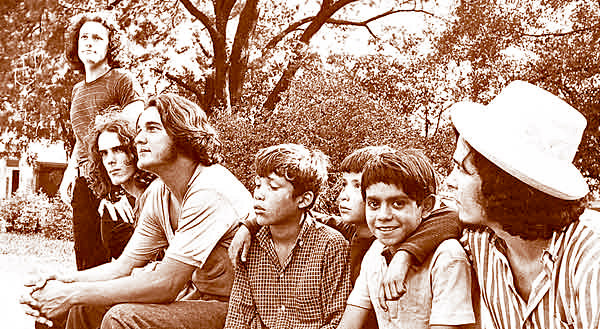 Los Larkins was led by Rodolfo García, future drummer of Almendra, muchacho four years older than ‘El Flaco’ Spinetta and neighbors from the same neighborhood. 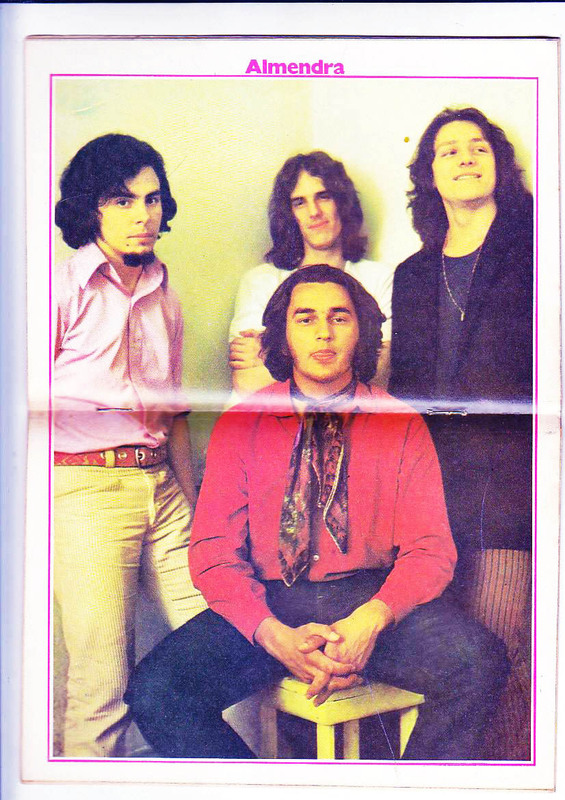 The other band that would give birth to Almendra, was Los Sbirros, composed by students from the same school that Spinetta, and was led by Edelmiro Molinari, who excelled at the dominion of electric guitar and Emilio del Guercio, future bassist. 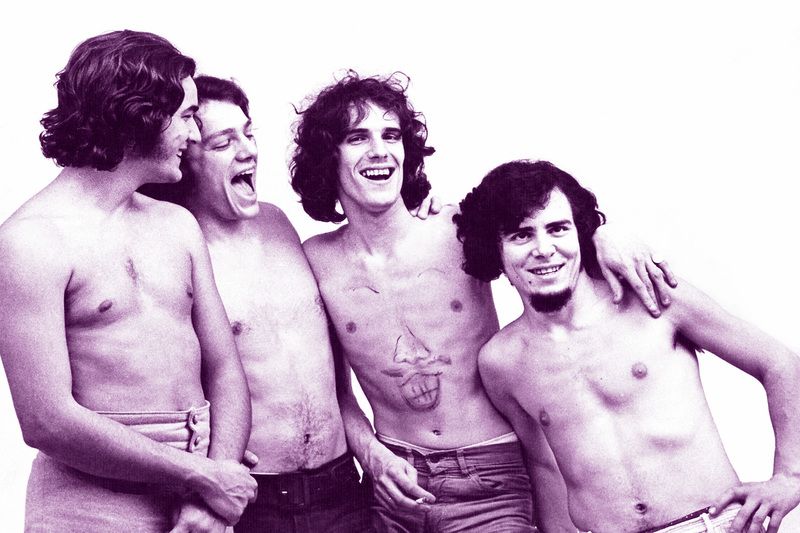 Spinetta started in Los Larkins, but played at any given time in both groups. 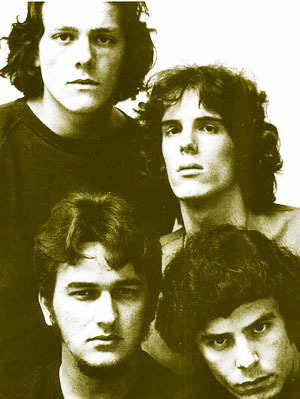 Little by little they were merged in late 1966 and formed a quintet composed by: Spinetta (voice), Rodolfo García (drums), Emilio del Guercio (bass), Edelmiro Molinari (guitar) y Santiago “Chago” Novoa (keyboards), they were 16, 17 years old on average and the foundations of what would be Almendra was ready. In early 1967, Roldolfo García was drafted into military service. This fact made the band entered a one-year hiatus, more precisely the year that La Balsa, music from Los Gatos, composed by Lito Nebbia and Tanguito, explodes in the charts, achieving tremendous national success. It was the first original rock sung in spanish and marks the beginning of a new musical style known in Argentina as Rock Nacional. 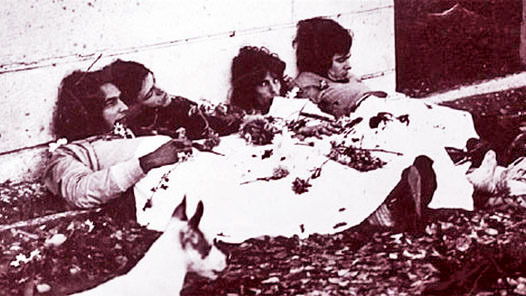 1967, 1968 and 1969 were years of great cultural transformations in Argentina and the world, placing the youth as a distinct social, revolutionary group: The Summer of Love that marked the birth of Hippie movement, the assassination of Che Guevara in Bolivia, the French May, the Prague Spring and domestically El Cordobazzo. In mid 1968, Ricardo Kleiman, producer on the radio program ‘La Noche en Modart’, which had enormous popularity with the youth from those years, went to see a band rehearsal, they played an own song with English titles, Where are You Going Mary Sue?. Kleiman was impressed and offer them a single record on RCA with Rodolfo Alchurrón as artistic director. The single was recorded somewhere in August, released on September 20, 1968, and set out for sale at the beginning of 1969. First theme edited by the band, was composed by Luis Alberto Spinetta to a college fellow who believed to have died on a trip to Bariloche (!). When he received the telegram denying the good news, the verses suggested: ‘La soledad es un amigo que no está / Es su palabra que no ha de llegar igual’. Years later the young prick called Mario D’Alessandro became the band’s official dentist! The theme has an orchestral accompaniment directed by Alchurrón composed of strings and woodwinds. 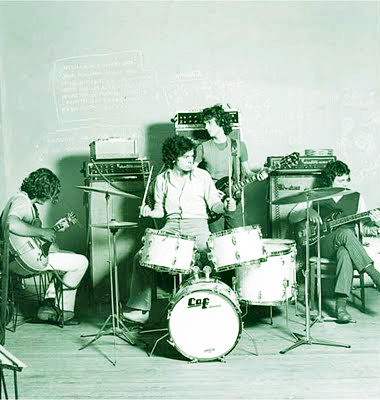 The group releases another single record Hoy Todo el Hielo en La Ciudad, side a /// Campos Verdes, side b **, yet in 1968, and it’s from this one that the band begins to be noticed and established commercially. The myth of a dystopian frozen Buenos Aires, comes in tune with ‘El Eternauta’ the great sci-fi story by Oesterheld. There is no hell or deluge in the end, only the eternal ice that covers the sky across the days. Even at noon there’s no sun. These years also held two video clips, one of the first ones made ​​in Argentina. Final, the pretended ending for Almendra (first) Lp, was cut from the final tracklist due to time limitations. It enters here as a tuneful simple ballad B side! Campos Verdes and Gabinetes Espaciales. 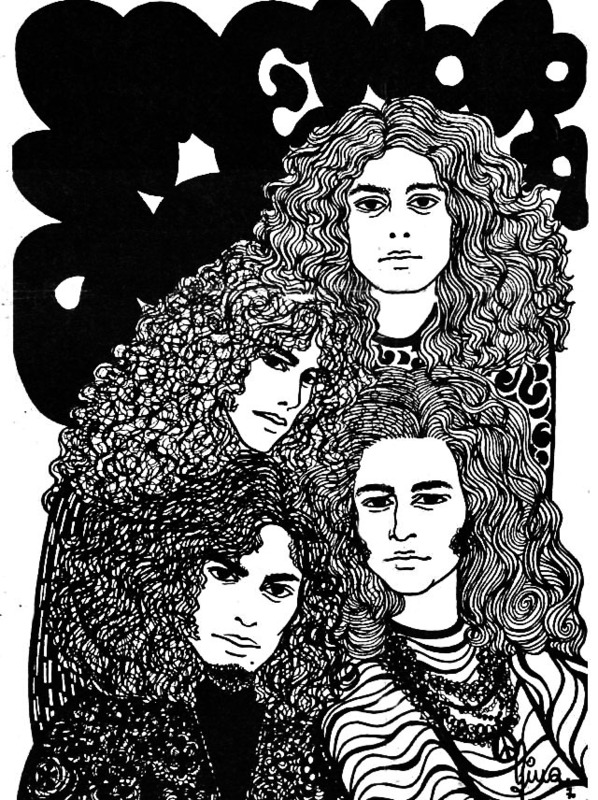 Lastly, there isn’t a lot of photos from the band, especially with high quality available on the internet, however, there’s an incredible rare book, with drawings, text and rare photos, released on 1970/71, that you can luckily check it.